Mrs. Chantay Dupree received a Bachelor of Science Degree in Business Administration (Management) in August of 1990 from the University of Tennessee at Martin, Certification to teach 1st-8th grades in May 1999 from the University of Memphis, a Master of Education Degree (Educational Leadership) in August 2003 from Trevecca Nazarene University, and an Administrator License in August 2011. 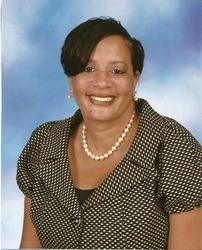 Mrs. Dupree taught 5th grade at Ripley Elementary School from 1999 to 2002. From 2002 to 2012 she served at Dyersburg Middle School as a teacher in the Success Maker Program (2 years) as well as a 7th grade Language Arts teacher (8 years). She has served as Assistant Principal at Ripley Middle since 2012 and LEAPs PM Site Coordinator since 2015. She is also a Life Member of Alpha Kappa Alpha Sorority, Inc.
Mrs. Jessica Myers is the Assistant Principal for Ripley Primary School. She served as a Physical Education teacher for RPS for five years. From 2015 to 2017, she was the Curriculum Coordinator. Mrs. Myers has a Bachelor of Science degree in Physical Education from the University of Memphis, and a Master of Science degree in Educational Leadership from University Tennessee Martin. 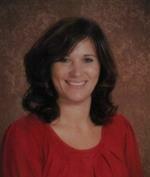 Mrs. Gina Hendren is currently serving as Curriculum Coordinator for Ripley Primary School. She served as assistant principal at Ripley Primary School for the 2012-2013 and the 2015-2016 school years. She has worked in Lauderdale County as a 5th grade teacher since 1995. Prior to coming to Lauderdale County, she served as a teacher in Marshall County Schools, Tennessee. Mrs. Hendren has a Bachelor of Science degree in Elementary Education from David Lipscomb University and a Master of Science degree in Educational Leadership from the University of Memphis.